You are here: Home › General › Wood does make a difference! 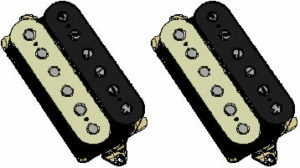 A pickup can give you a different tone in two guitars built with different woods. A lot of people will say that when it comes to electric guitars timber doesn’t really matter. Tone comes from the amplifiers, speakers, pedals and pickups. Some will say hardware makes a difference too, and I would agree with that, especially after testing things like the Floyd Upgrades brass blocks. After years of playing I really believe that guitars built with different body woods do sound different with the same pickups. Many may argue that this is not the case, but I believe this is simply not true. My first real experience with this was of all things, EMG pickups. 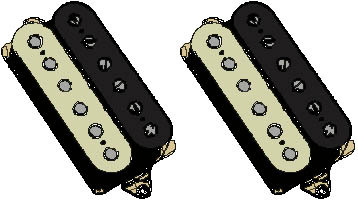 Of all the pickups out there EMGs have a real stigma of being one trick ponies, only capable of high gain metal tones. Many also say that they sound exactly the same no matter what sort of guitar they are thrown in. Now I have a feeling that many people who say this also run a crazy amount of distortion, which can easily hide tonal differences. EMGs do have a very specific sound due to their being an active pickup, but I could definitely hear tonal differences based on the body wood. My Ibanez RG470 with it’s basswood body, and maple neck with rosewood fretboard, and Ibanez style RG custom with an alder body and identical build for the neck both have had an EMG 81 in the body, and either EMG 85 or 89 in the neck. The 89 is an 85 that can split to an SA single coil. Alder is known to have a brighter tone, and basswood is known for a very neutral to darker tone. This can definitely be heard when playing each guitar acoustically. Plugged in I could also hear these qualities. Sure, there was that unique ‘EMG’ tone, but the alder bodied guitar was definitely brighter sounding. My most recent example is with the DiMarzio Tone Zone. The Tone Zone is a very polarizing pickup. It’s massive bass and mid frequencies make it sound huge, but can result in it sounding muddy. Many love it, and probably just as many hate it. I originally loaded the Tone Zone in my Ibanez RG550, which like most Ibanez RG series, has a basswood body. There were many things I loved about the Tone Zone, the massive tone it is known for meant that notes on the higher end of the fretboard retained some girth. The problem I had was that things got too muddy for my liking when playing riffs on the lower strings. I set off on a number of DIY mods to try and get a little less bass and more clarity. Much of this is documented here. I found that these mods were capable of giving me tone more to my liking. I decided to put an Alnico 8 modified DiMarzio PAF Pro back in the bridge position of my RG550, and install the Tone Zone into my Alder bodied Ibanez style guitar. I reverted the Tone Zone back to it’s stock setup to see how it reacted to the alder. Just like the differences I found with the EMG pickups, the Tone Zone sounded brighter in the alder body. It lost a lot of the “boomy” qualities it had when playing low-end riffs that were a problem for me in the basswood. The Tone Zone retained a lot of it’s huge tone, but without the added mud that I combated in the basswood body with various mods. I loved the tone of the Tone Zone no matter what I was playing on the alder bodied guitar, rhythm and lead. Not all people may notice these differences. I would typically attribute this to running too much distortion, but it may also be that some just don’t have the ear for it. I’d say most would be able to hear the differences with a nicely set up amplifier without a ridiculous amount of gain. Try it out for yourself. 3 Responses to "Wood does make a difference!" I believe ash is a little brighter than alder, swamp ash is the type that is significantly brighter though. I love alder though. I think its a great balance between a neutral timber like baswood, and a bright timber like maple/swamp ash.